Band Members: Dirk "Bela B." Felsenheimer, Jan "Farin Urlaub" Vetter, Hans "Sahnie" Runge (until 1986), Hagen Liebing (1986-), Rodrigo "Rod" González (1993-). Die Ärzte got their start in 1982 in Berlin. The gained popularity in the Berlin underground scene, playing in clubs and at festivals. They made a few television appearances and even won the 10,000 DM top prize at the Berlin Senatsrock Festival, money that they used to record their first mini-album, Uns geht's prima. 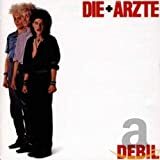 This album got the attention of Columbia Records who took the trio under contract, and by 1985 they had produced two more albums, Debil and Im Schatten der Ärzte . By 1986 Die Ärzte had gathered a large circle of fans. Success had gone to Sahnie's head and he had some run-ins with the other band members, who accused him of not paying enough attention to music and only caring about money and groupies. He took 10,000 DM to leave the band and focus on his studies in Business. In the next few years, several of the band's albums and songs were labeled inappropriate for young listeners and were boycotted by some retailers. This coupled with rumors of the band's impending break-up helped increase both their popularity and sales of their albums. The band did break up in 1988, but their "permanent" hiatus lasted only until 1993, when they got back together, along with Chilean Rod González, to produce the album Bestie im Menschengestalt . In 1996 and 1997, they opened for the band Kiss on their reunion tour. Die Ärzte became the 3rd German band -- after Herbert Grönemeyer and Die fantastischen Vier -- to give an MTV Unplugged concert. They have produced a number of albums and they have earned the reputation of being an excellent live band. In their music, very little from their punk roots is still audible. The self-proclaimed "best band in the world" sees its music as a parody of pop music. Geräusch (2003) | LISTEN | SINGLE : "Unrockbar"- Reached #1 on the German single charts. Runter mit den Spendierhosen, Unsichtbarer (2000) | | LISTEN | SINGLE: "Manchmal haben Frauen " - Reached #4 on the German single charts. 13 (1998) | | LISTEN | SINGLE: "Männer sind Schweine " - The group's biggest all-time hit, it reached #1 on the German single charts and spent 14 weeks in the Top 10. 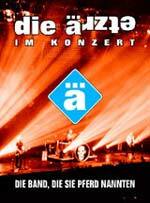  Die Ärzte was the 3rd German band to perform an "unplugged" concert for MTV. They were preceded by Herbert Grönemeyer and Die Fantastischen Vier.  Die Ärzte appeared in the film Richy Guitar. They played a struggling band trying to make it in show business.  "Gehn wie ein Ägypter" is a remake of the Bangles' hit "Walk Like an Egyptian" with German lyrics.  The video of the song "Yoko Ono" holds the Guiness Book World Record for the shortest music video.